The classic Hazet 600 combination wrench in an extra long version. The 12-point traction profile provides a higher force on the screw head and prevents rounded and worn screw heads. 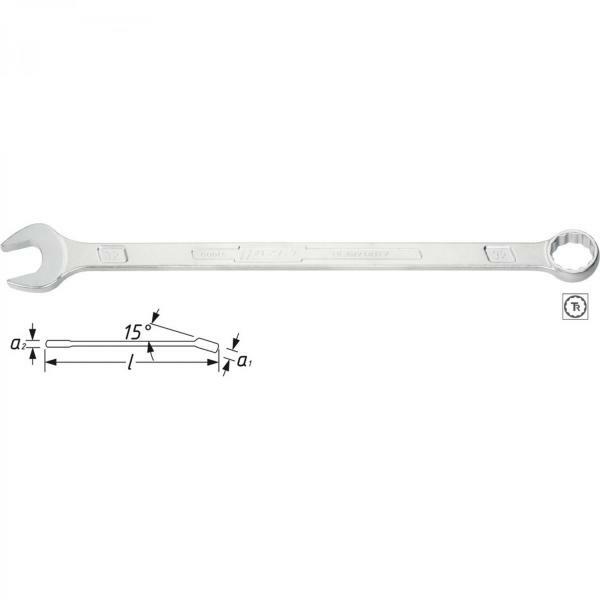 More than 25% longer than comparable DIN standard wrenches this tool has a much higher torque. The slim design allows better access to low lying screw connections. The shank has an extra sturdy double-T-profile.